If you have a question or issue with your submitted application, feel free to email for assistance. The Bang on a Can Summer Music Festival at MASS MoCA (the Massachusetts Museum of Contemporary Art) is a musical utopia for innovative musicians in the beautiful Berkshire Mountains of Western Massachusetts. 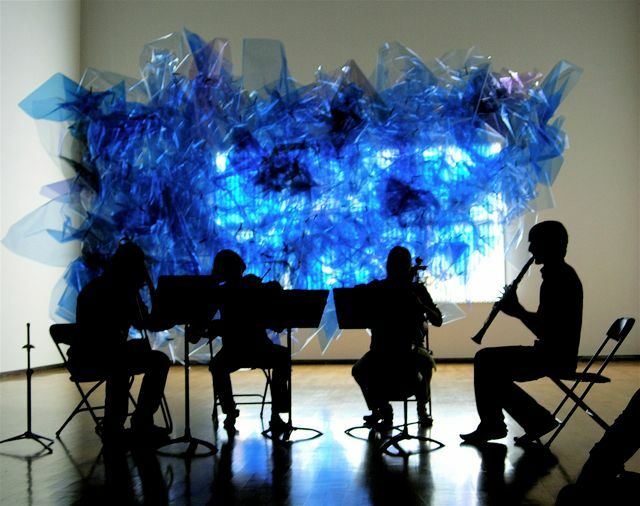 The festival is dedicated entirely to adventurous contemporary music. We will write it. We will perform it. We will think about it and we will talk about it. We will spend three weeks immersed in today's most exciting music. Composers will have their new works performed. Players will perform in ensembles sitting alongside their teachers. The festival includes daily performances in the museum galleries, free with museum admission, and concludes with a six-hour blow-out Marathon Concert performed by the festival ensembles and special guests. The festival also features African and Latin music workshops, electronics and music business seminars, free events in the community, and more. Our faculty members are some of the most innovative musicians of our time. These are musicians who have dedicated their lives to commissioning, rehearsing, recording and performing music beyond the cutting edge.